On 08 October 2016, Prestige Imports held its annual Oktoberfest celebration. 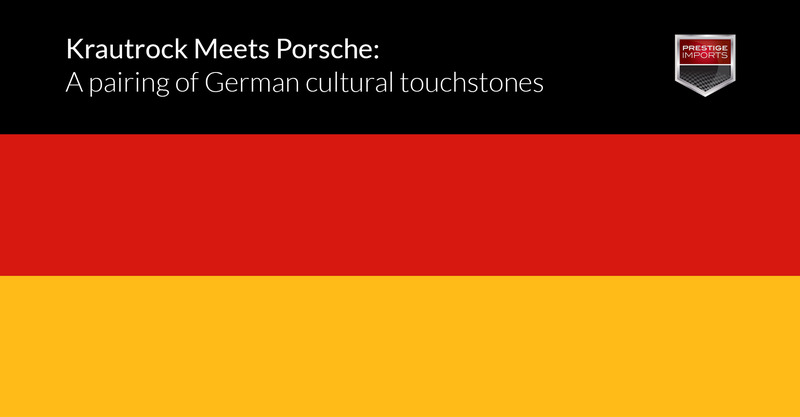 The dealership’s twenty-sixth iteration of the event highlights the German heritage of both the Porsche and Audi brands through traditional song, dance, food, and drink. In honor of Prestige Imports’ successful, 2016 Oktoberfest, I thought it would be apropos to create a list that focuses on another German, cultural touchstone: krautrock. According to a 30 March 2010 article at The Guardian, the term krautrock refers, broadly speaking, to “German experimental rock from the 1970s.” More specifically, the seeds of krautrock were sown during the “revolutionary student movement of 1967 and 1968” when young artists and musicians sought to create music that sounded different from mainstream songs they heard on the radio. Of course, the actual term “krautrock,” wasn’t a phrase that the German progenitors of the movement created. In fact, the 2009 book Krautrock: Cosmic Rock and it Legacy attributes the moniker’s origins to the British music magazine Melody Maker as a catch-all name English journalists used to describe the unconventional music emanating from Deutschland. With out further ado, then, I’ve paired each model in the Porsche fleet with a representative krautrock masterpiece. A brief commentary on the relationship between the models and their corresponding song accompanies each entry. The Porsche 911 is the German auto-manufacturer’s flagship model. No doubt, when you hear the word Porsche, the unmistakable form of the classic, air-cooled 911s from the 60s, 70s, 80s, and early-90s come to mind. Of course, even with the addition of a turbo-charged engine and various exterior alterations, the 911 of today still hearkens back visually to its predecessors, all the while remaining thoroughly modern. Indeed, the name Porsche is synonymous with this model. It’s no surprise, then, that the 911 would pair well with Faust’s “Krautrock.” The band was one of the original and most prominent rock acts to form during the early-70s. While they recorded and released many krautrock classics, one of their most seminal albums was Faust IV; and the opening track to that masterpiece was the tune “Krautrock.” Just as the 911 embodies the Porsche brand, this 12-minute wall of guitar noodling captures the sonic essence of krautrock. Indeed, the song serves as a primer to the genre, justifying the track’s title. Porsche recently re-branded their Boxster and Cayman as the 718 for the 2017 model year. The executives and marketers at Stuttgart decided to shift the designation in order to align the vehicles more closely with their predecessors and historical lineage. Specifically, marketers wanted to remind customers that Porsche designed and raced their 718 model during the 50s and 60s, enjoying great success in races such as LeMans, Sebring, and the Targa Florio. While today’s 718s exhibit it’s own, contemporary flair, they bear a striking resemblance to the 718 from the mid-twentieth century, especially in the fascia and headlamp areas. The term krautrock is believed to have been developed from Amon Düül’s song “Mama Düül und Ihre Sauerkrautband Spielt Auf.” out of their 1969 LP Psychedelic Underground…It was [created and] used by the British press to describe the experimental progressive rock movement that came from Germany in the late 60s and 70s. Indeed, just as the Boxster and Cayman were renamed to embody their 718 heritage, journalists altered the name of Amon Düül’s song in order to describe an entire lineage of German rock that contained elements of ambient, jazz, and classical music. While previous incarnations of the Porsche Panamera have receive quite a bite of flack in the past for their awkward styling, the new 2017 iteration has received unanimously positive reviews for its newly re-designed exterior. True to the praise, the 2017 Panamera is sleek, stylish, and sporty. Regardless of model year, though, there’s one thing at which the Panamera has always excelled: speed. Although the average consumer might be unaware, the 2016 Panamera Turbo S is actually one of the fastest models in the entire Porsche fleet with a top speed of 192mph and a 0-60 sprint time of 3.6. To be sure, the 2017 version will improve even on those numbers, making the luxury saloon an outright monster. But as any State-side driver knows, you can’t legally cruise American thoroughfares at speeds approaching 200mph. In fact, you probably can’t hit those numbers on a track unless you are a skilled driver with a decent-sized straightway. You know where you can achieve those top speeds though? Germany’s Autobahn, half of which has no speed limit. It should come as no surprise, then, that Kraftwerk’s 21-minute, minimalist electro-epic “Autobahn” pairs perfectly with the Panamera. It’s no secret that drivers in Denver, along the Front Range, and in the state of Colorado love crossovers. For starters, this class of cars provides the handling of a traditional car, coupled with the ruggedness of an SUV. Likewise, they offer better gas mileage than an SUV, while simultaneously giving the driver the height and feel of their larger counterparts. Indeed, these vehicles are the best of both worlds. As for the Porsche Macan? It consistently rates as the best crossover on the market virtually every model year. Not only does it look sporty, but it positively rips. In fact, the Turbo model with performance package boasts a top speed of 169 mph and a 0-60 sprint time of 4.2 seconds. Whether you’re cruising on the highway or off-roading in the Rocky Mountains, this car is flat out fun to drive. Why not pair the Macan, then, with the classic NEU! tune “Drive.” One of the krautrock era’s most historically revered outfits, the propulsive rhythm section on the song “Drive” lays the foundation for some classic guitar riffs. Listening to this song, it’s almost impossible not to bounce your head to the beat. Just be careful that, when driving to this tune, you remember not to depress the gas pedal too hard. Although, that may also be almost impossible. Two distinct strains of music comprised the majority of krautrock. One strain focused on epic-length songs with a plodding rhythm section and searing, psychedelic guitars (i.e. Can, NEU!, and Faust). The other strain used synthesizers and a host of electronic instruments to produce new trends in music that would eventually be co-opted by the electronica, hip-hop, and dance movements more common to contemporary music. Cluster explored the latter strain; nowadays, they’re considered one of the most forward-thinking groups of their moment. “Rotor” is the penultimate track of their album Zuckerzeit, which critics generally agree is their masterwork. A rotor, as you most likely know, is part of a car’s braking mechanism. When a driver applies their brakes, calipers push the brake pad against the wall of the rotor. The friction created by the break pad and the rotor cause the vehicle to slow and, eventually, stop. By far the largest vehicle in the Porsche fleet, the Cayenne is a favorite among owners with children. But more than just offering space for large families, the SUV’s braking and safety systems are of utmost importance when traveling your brood. To this end, select Cayenne’s come equipped with Porsche Ceramic Composite Brakes, providing drivers with better handling, road-holding, and greater ride comfort. Not only does the 2015 Porsche 918 Spyder look like a futuristic vehicle, but this modern day super car boasts technology that seems torn from the pages of a sci-fi novel. For example, three separate engines power the 918: a traditional, 4.6-liter V8 combustion engine and two electric engines at the front and rear axles. The electric motors have the ability to harness power from the brake system, re-directing it for an added e-boost when desired. The vehicle leverages the power of its multiple engines to produce 887 horsepower, producing a top speed of 218 mph and a 0-60 sprint time of 2.2 seconds. Moreover, the cabin boasts the Porsche Communication Management system, which comes outfitted with USB interfaces, WLAN and Bluetooth, as well as touchscreen and hands-free interfaces. Can, according to the estimation of music journalist, is the most successful and important band to emerge from the krautrock era. Releasing classic albums such as Tago Mago, Ege Bamyasi, and Monster Movie, the band proved to be experts in long-form, guitar freak outs that simultaneously harnessed pop sensibilities while exploring the outer reaches of sonic experimentation. With their 1973 album Future Days, the band began refining their otherworldly sounds. The album’s title track is a hallucinatory epic that concludes with the repetition of the phrase “For the sake of future days” and a swelling, sonic landscape. Indeed, this song about the future provides an ample soundtrack for the car of the future. OK, so Porsche no longer manufacturers the 928. But during the 1980s, this was the pinnacle of front-engine engineering in Stuttgart. In fact, executives at Porsche originally planned for the 928 to replace the 911 when the company faced financial struggles due to sluggish sales. Obviously, the company (and the 911) rebounded, relegating the 928 to the land of the obsolete. But vintage 928s have endured, and collectors have begun driving up the market value on these beauties. One would gather that, soon enough, they’ll be commanding resale prices which will render them unattainable to most. So why does the Porsche 928 finds itself on this list? Well, one of the most famous Porsche moments in American cinema features the 1979 Porsche 928 in the Tom Cruise classic Risky Business. Appearing on the soundtrack to the film is none other than krautrock legends Tangerine Dream, lending the rights to their song “Love on a Real Train.” No krautrock/Porsche list would be complete if it omitted this tune. If you own or lease a German performance or luxury vehicle, I would suggest creating a playlist of your favorite krautrock songs and using it as the soundtrack to your next weekend drive in the mountains. 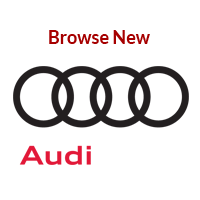 Of course, if you don’t own or lease a Porsche (or Audi) vehicle, you can still make a playlist; but, I feel pretty confident that sitting behind the wheel of a German automobile will enhance your listening experience. 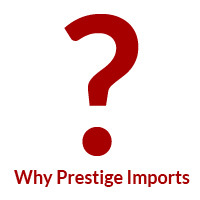 To that end, stop by Prestige Imports to check out our full selection of Porsche and Audi vehicles. 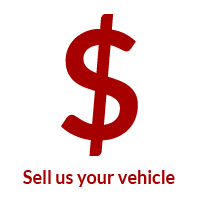 We’re located at 9201 West Colfax Avenue between Wadsworth and Kipling. You can also call us at (833) 825-5423 to schedule an appointment with one of our Porsche Brand Ambassadors or Audi Brand Specialist. 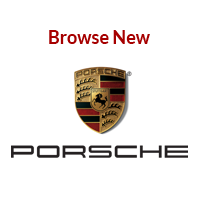 In the interim, check out our full inventory of German-made cars online.